Collapsing business models for journalism. News deserts as smaller community newspapers shut down. Charges of “Fake News” and labels like “Enemy of the people.” These are some of the headlines from the news business this year. It’s hard to find reason to be optimistic about the health of our information ecosystem. It might be even harder to believe me when I say: Local TV news is our best chance. Yes, the same stations that critics dismiss for serving up car crashes, house fires and mug shots, perky morning teams and goofy weathercasters, could also be our best hope for rejuvenating journalism. Here are three macro trends that explain why. We trust our local politicians more than our statewide reps; and we trust our statewide reps more than those pols way off in DC. The same is true for journalism. 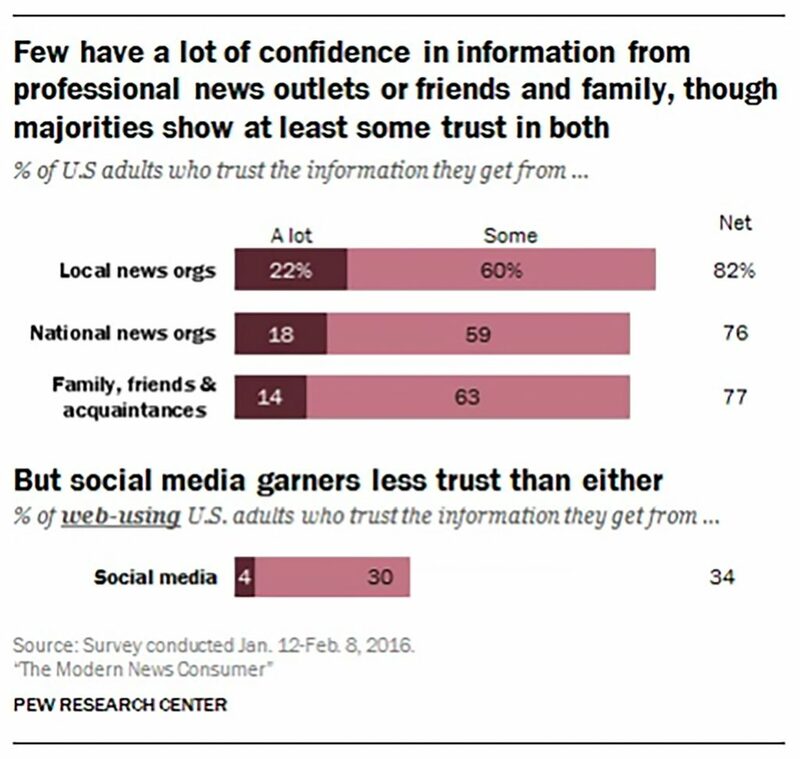 Studies by Pew Research consistently show that local news sources are the most trusted by their communities, with trust decreasing with distance. Of those local sources, local TV news is actually seen as the singularly most trusted source. Four out of five people trust the news they get from local TV, according to a Television Bureau Survey. Trust declines with distance. 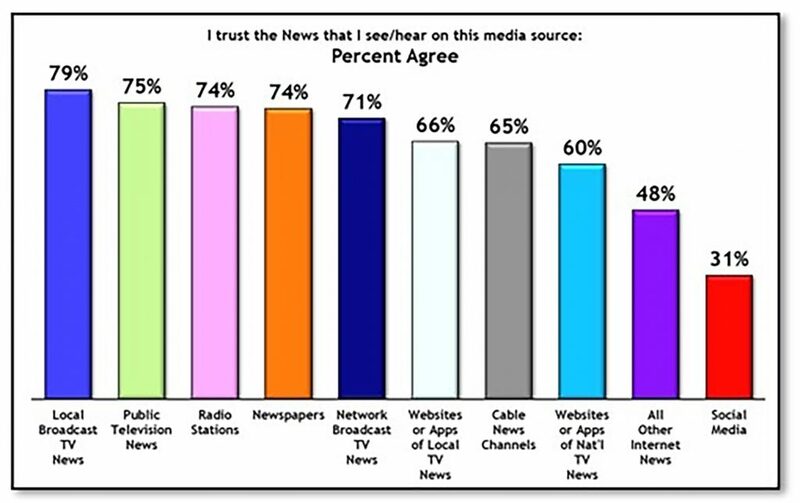 Studies consistently show that local news organizations as a group are more trusted than national news sources. The bottom line: local TV news providers are in the best position to lead, and be believed. In the era of Trump, there is a business reward for CNN, MSNBC, and Fox to cover each and every plot twist of our Presidential reality show. We can debate whether that constant coverage is responsible, or good for the country. It is certainly good for viewership for these national cable news outlets. The midterm elections, however, showed that people locally care about the issues and news that affects them. They want to hear about health care and how it can be more affordable; they are concerned about immigration, about living-wage jobs, about school quality and quality of life in their community. Trump news may dominate national cable TV shows because of the viewership it generates, but that effect doesn’t translate locally. As a result, local broadcast news organizations are best able to transcend the DC reality show and focus on the issues affecting the people who live in their own community. The continued cratering of newsroom staffing at newspapers across the country is well documented. A Google search for “news deserts” now yields pages of results. What’s gone relatively unnoticed is the surprising resilience of local TV newsroom staffing during this period of precipitous newspaper decline. 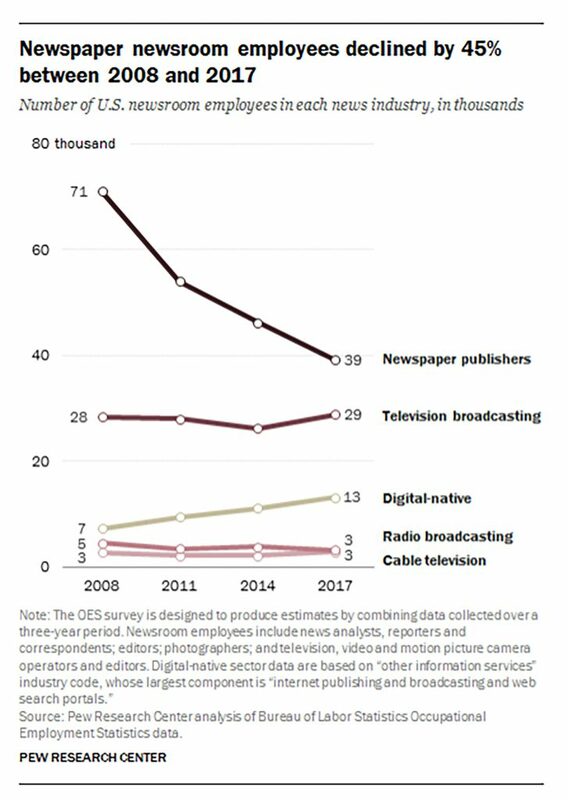 The latest report by Pew Research on the subject shows that total staffing of TV newsrooms is on a trajectory to overtake staffing of legacy newspaper newsrooms. This would mark a true tipping point in journalism resources at the local level. Meanwhile, the tipping point for reach and audience has long since moved from local newspapers to the local TV stations. For most respondents, local TV news is by far their first source for local news. A Pew Research Project study found that high civic engagement increased this effect. People who always vote were 47% more likely to say they get local news regularly from a local TV station rather than from their local newspaper (63% vs. 43%.) With continued cuts in newspaper newsrooms, as well as reductions in the size and frequency of papers, that trend should only continue. Among their peers in journalism, local broadcasters have struggled for respect. It’s true there has been much to mock, from the formulaic show formats lampooned so well in the movie “Anchorman” to the “if it bleeds, it leads” story selection. 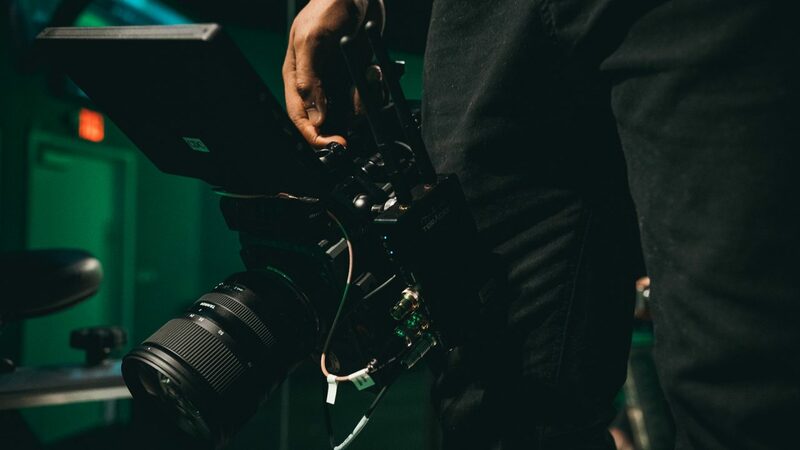 Recently, however, there’s been a quiet transformation going on in local TV, as news organizations disrupt themselves from within. Station groups like TEGNA (my former employer), Scripps, Graham and Hearst among others have invested in experiments including larger investigative reporting teams, longer-form storytelling, fresh show formats, and more authentic storytellers. These local TV station groups are poised to win. First, unlike their newspaper colleagues, they still have a solidly profitable business model for their legacy product, giving them the resources to innovate. Second, because they operate locally, they have the trust and the relationships to truly serve their communities. The reporters work and live in the communities they cover. They are rewarded by their communities for covering stories that matter locally. As a result, local TV news is shielded from the ‘Trump Effect’ that can displace discussion of important issues on national news outlets. Finally, local TV news has the audience. As newspapers lose readers, they also lose impact. In many local communities today, the local TV news stations are the community’s first source for news. The pieces are in place. It’s time for local TV news to shed its clichéd coverage of the past, and take the leadership role in serving and informing our local communities. It’s why I recently joined the Knight-Cronkite News Lab: to collaborate with fellow journalists and engage in purposeful experiments to co-create the future of local broadcast news in the digital age.